4.1.1 Prior to the execution of the work, all necessary information shall be provided. d) a suitable quality management system, including supervision, monitoring and testing. d) future or ongoing construction activities, such as dewatering, tunnelling, deep excavations. b) underground contamination or hazards that can affect the execution method, the work safety or the discharge of excavation material from the site. d) a schedule of any testing and acceptance procedures for materials incorporated in the works. 4.2.3 Any additional or deviating requirements falling within the permission clauses given in this document shall be established and agreed upon before the commencement of the works. 5.1.1 The depth and the extent of any investigations shall be sufficient to allow determination of the ground conditions in accordance with the requirements of EN 1997-1. 5.1.2 Laboratory and field investigations shall comply with prEN 1997-2 and the relevant European Standard EN 196-1 to -8, EN 196-21, EN 197-1 and -2, EN 451, EN 459-1 and -2, ENV 10080, EN 12716, EN 791, EN ISO 14688-1 and EN ISO 14688-2 . 5.1.3 Relevant experience of the execution of comparable deep mixing works under similar conditions in the vicinity of the site shall be taken into account when determining the extent of the site investigation. 5.1.4 The site investigation report shall be made available together with all relevant data known to affect the choice of method. 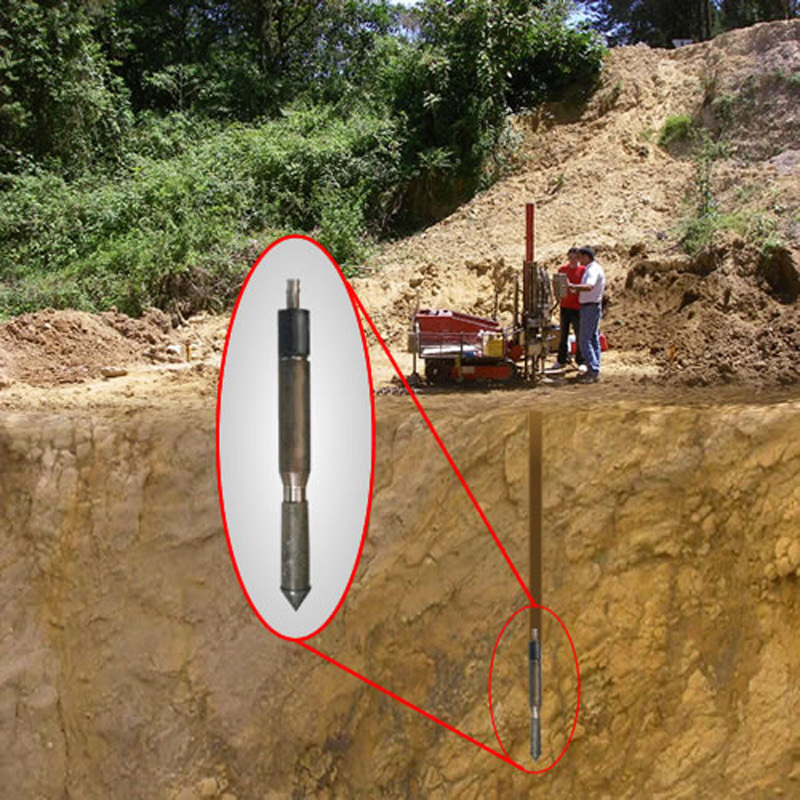 5.1.5 Boreholes or trial pits shall be suitably sealed not to affect groundwater movement and/or subsequent deep-mixed column construction and performance. 5.2.1 Identification and classification of soil shall comply with EN ISO 14688-1 and EN ISO 14688-2. 5.2.4 The ground level and location at any point of investigation or testing should be established relative to the recognised national datum or to a fixed reference point. 6.1.2 All materials and products for incorporation in deep mixing shall be in accordance with the relevant European Standards. Where the respective European Standards are not available, the use of materials and products shall be in accordance with the national standards and/or guidance. 6.1.3 All materials and products used shall comply with local environmental regulations. 6.1.4 All materials and products used shall comply with the design specifications. 6.1.5 Appropriate tests shall be provided in order to ensure compliance with the design specifications for materials not covered by existing standards. 6.1.6 The sources of supply materials shall be documented and shall not be changed without prior notification. 6.2.1 Water from other sources than recognised potable water shall be tested to determine whether or not it is suitable for the intended use. 6.2.2 Environmentally significant traces of chemical substances in materials and products may be present as normally occurring impurity, and their environmental impact may need to be assessed. In the Cone Penetration Test (CPT), a cone on the end of a series of rods is pushed into the ground at a constant rate of 2 cm /sec. and continuous or intermittent measurements are made of the resistance to penetration of the cone.